I have a pretty Spring like tag over on the Country View Crafts project blog today and I think it's a perfect gift tag for that Easter egg or present for someone special. I have outlined the steps with photos if you fancy taking a look at how it came together. Easter is only a few days away. I love getting out my seasonal decorative pieces for this time of year. 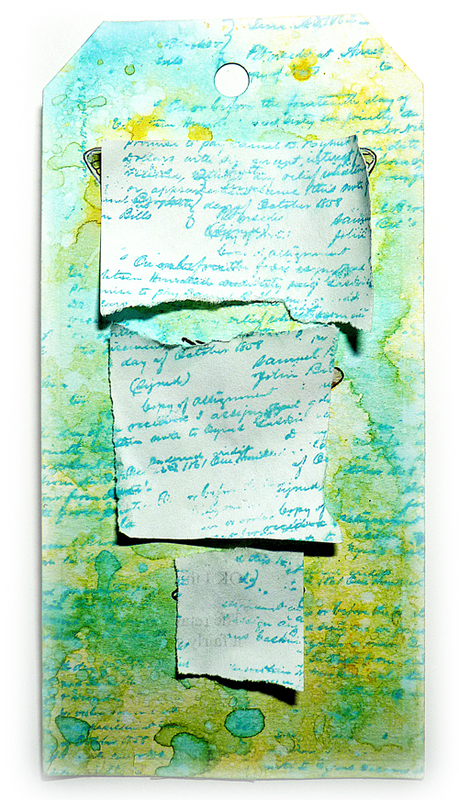 Begin with distress oxides in spiced marmalade, broken china and cracked pistachio and create a dip and dry background. 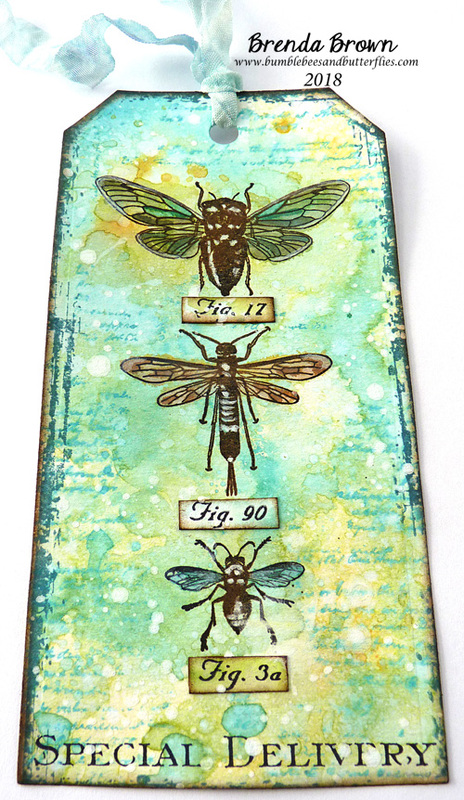 Take forest moss, pine needles, tea dye and rusty hinge ordinary distress inks and with a paintbrush paint in the wings. I also used some white linen ink spray by dylusions to highlight the bodies. Next take some scraps of paper and tear pieces to cover the butterflies and stamp the text stamp, also from the etymology set, with broken china doxide..
Before removing the paper lightly spritz over with water and heat dry. Stamp the small butterflies from the classics 17 stamps and remove the little Fig. numbers, cut, distress ink the edges and adhere. Also stamp the special delivery from the correspondence set directly onto the tag. 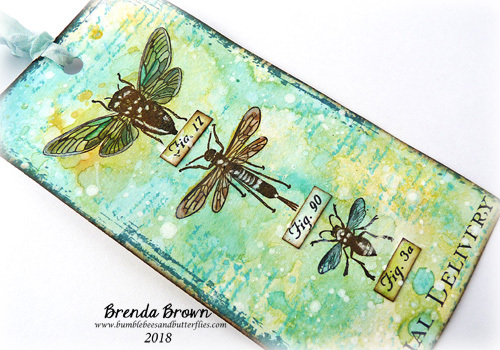 I always 'frame' my tags, cards etc and didn't want to rely just on the normal distress inked edges so I searched my boxes of old unknown stamps and found a fabulous forgotten distressed border stamp which I used with cornflower blue archival ink. 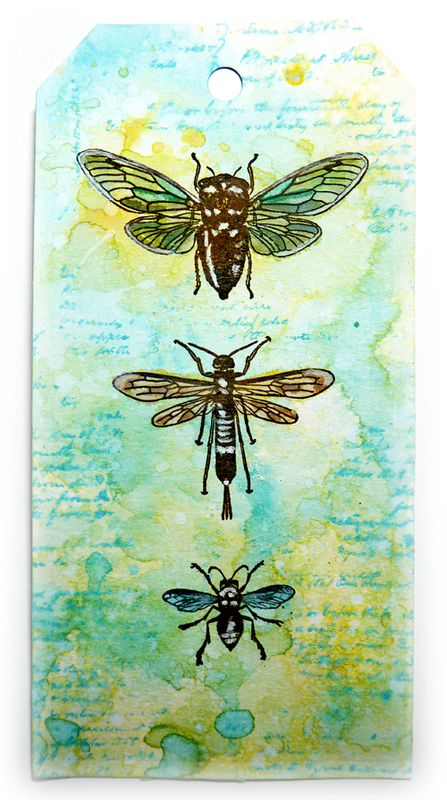 Finally I covered the winged bugs again and splattered some white gesso and then finished with the distress inked edges. 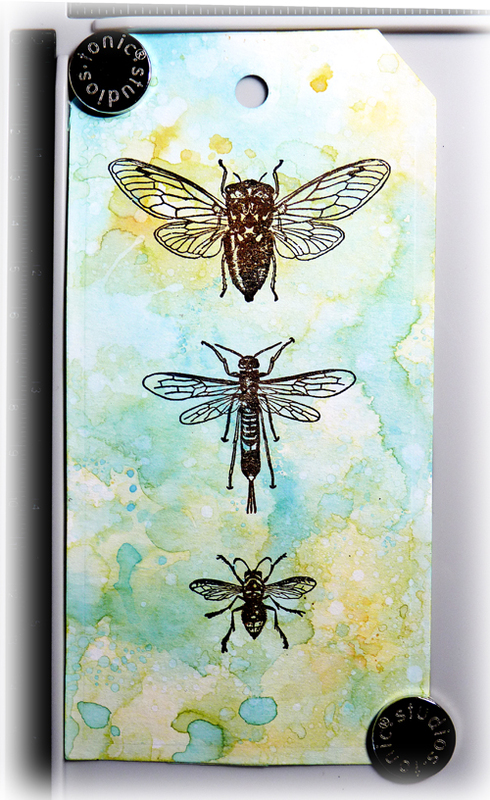 A lovely gift tag with springlike images and colours don't you think? A beautiful spring tag, I love the background colours. Great spring tag, Brenda! 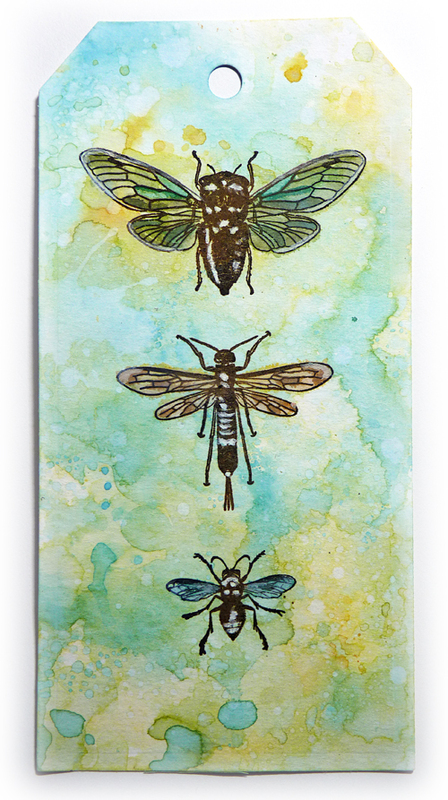 I love the colors and the way you've colored your bugs! Just passed up that set dirt cheap, but not I'm regretting not adding it to my list. Happy Easter in advance! Hugs! Well - I'm hoping none of the guests at the ranch for Easter see your bugs... UNLESS they look as lovely as yours are Brenda!!! Xj. Your tag is lovely! That background is so pretty and of course the colors are full of spring/Easter. Simple and elegant! Oh how fun and Springy! LOVE the color marbling with the Oxides! Happy Easter to you! Beautiful! 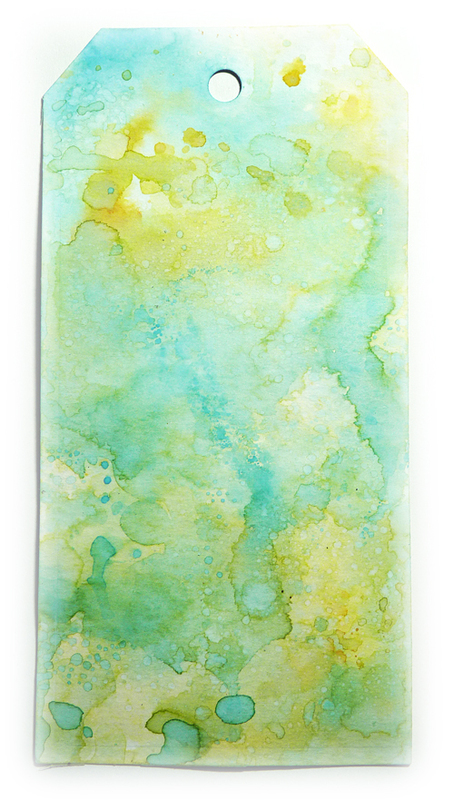 Love those fresh spring like tones and the fab inky effects .